Kim Swift and the team at Airtight Games has this week unveiled a new game they have developed exclusively for the new Ouya console, called Soul Fjord. Soul Fjord for the Ouya console is still currently in the final stages of development, bu Airtight Games have released a couple of trailer to whet your appetite and provide you with a glimpse at what you can expect from the new release once its officially launched. Watch the trailers after the jump to see it in action. 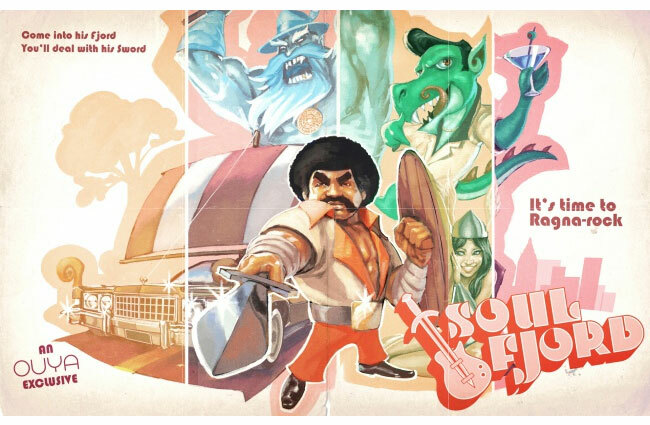 “Soul Fjord is a randomly-generated dungeon crawler with rhythm-based combat set in a fantasy universe where the genres of 70’s Funk and Soul meld with Norse mythology – complete with lounge Dragons, Disco Wizards, and one badass Viking named Magnus Jones. In Soul Fjord, you play as Magnus Jones, a legendary warrior valiantly slain in battle.